On January 18th,2011, I gave a presentation to the Kansas City (Missouri) Task Force on Homelessness, which is in the process of formulating recommendations for local policy. The theme of our upcoming 14th Annual Homelessness Marathon, originating from Kansas City, is “Why Not Do The Right Thing?” In order to facilitate a dialogue, I wanted to explain to the Task Force what I, and many others around the country, believe is the right thing to do. I think my appearance there aroused varied, and in some cases strong, reactions. One member of the Task Force asked me if I would write up a White Paper in which I laid out the points I had set before them. I agreed to do so, and this document is the result. This is not, however, an exact summary of the words I spoke to the Task Force. Rather, it is a continuation of the sentiments I expressed there, with some exegesis added or subtracted, but in the main faithful to my earlier remarks. Scenario one is common sense. But when it comes to homelessness, scenario two is official policy. We are leaving our people to die in the streets, with solutions that give permanent housing to the few and desperation to the many. The point of this White Paper is to recommend the opposite course. Kansas City can and should take care of all its homeless people, because it is both more humane and more practical to do so. When I say that people are being “left to die,” I am not being hyperbolic. After studying the mortality rates of unsheltered homeless people, Dr. Jan Gurley concluded, “the average age at death is about 46.” There are surely many variables to this, and for the vast majority of people, homelessness is only a phase from which they recover. Nonetheless, it is safe to say that the longer you are homeless, the shorter your life is likely to be, a fact that seems largely unrecognized by Federal policy, which does not respond to homelessness as an emergency. Federal policy on homelessness has numerous facets, many of them good and all of them underfunded. But the centerpiece has increasingly become Federally-supported location-specific ten-year plans to end chronic homelessness or sometimes, more grandiosely, to end local homelessness altogether. I am given to understand that the Kansas City Task Force on Homelessness was previously addressed by a speaker who extolled the example of the Denver ten-year plan, but I would urge Kansas City not to follow it. All of these plans, including the one in Denver, are fatally flawed, and this is for several reasons. First, a ten-year plan to end homelessness is like a ten-year plan to stop rabid dogs from attacking children. Children are upwards of twenty percent of the sheltered homeless population, and depending on how you count them, maybe one to two million children under the age of eighteen experience homelessness every year. Do we have ten years in which to help them? Second, ten-year plans do more harm than good. At the core of these plans is the “Housing First” model, which is a good concept, but one which, unfortunately, only serves to provide the “Good” in the “Good Intentions” currently paving the road to homeless hell. Thanks to the “Housing First” model, it is now generally accepted that if you put even “chronically” homeless people into housing without first treating their treatable conditions, they will still be likely to succeed in the housing, and their treatable conditions can be treated later. So the good-idea-run-amok at the heart of the ten-year plans is the idea of putting homeless people into permanent housing, something every homeless advocate supports. The trouble is that, regardless of whether it arises out of fiscal responsibility or human irresponsibility, neither on a local nor a national level is there the will to put all homeless people into permanent housing. Yes, there is a continuum of care and these plans include a variety of approaches, but the bottom line is that, while the ten-year plans do help some, they leave most homeless people in traumatic circumstances. In terms of actually ending homelessness, the ten-year plans are, essentially, airlifts without planes. The fact that it would be impossible for any community to accurately predict how many homeless there are going to be is tacitly acknowledged in the ten-year plans themselves. 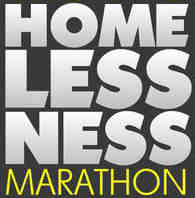 According to the National Alliance to End Homelessness (NAEH), the organization which takes credit for fostering the ten-year plan concept, of the more than 230 10-year plans that have been adopted, only 18% set actual numeric goals (though not necessarily the goal of ending homelessness), and only 8% give funding sources for achieving those goals. In other words, the architects of the ten-year plans, themselves, can't say how much of a solution they'll be able to provide or how they'll be able to provide it. This underscores the point that we ought to be solving the problem before our eyes and not the one we imagine (or can't imagine) will be there in ten years. The NAEH also gives a time-line showing that the first ten-year plan was adopted by Philadelphia in 1998. But Philadelphia did not end homelessness in 2008. Instead, after years of rising homelessness, it adopted a new ten-year plan. Chicago and Memphis adopted their plans in 2002, but don't look like they'll be ending any kind of homelessness next year. Denver adopted its ten-year plan in 2005. According to Metro Denver “Point in Time” counts, in 2006 Denver had 9,091 homeless people and in 2009 it had over 11,061. What kind of success is that? On the national level, what has more than a decade of ten-year plans added up to? The Interagency Council on Homelessness, the Federal agency tasked with promoting plans to address homelessness, had this to say in an official overview: “Our nation has made significant progress over the last decade reducing homelessness in specific communities and with specific populations.” In other words, the Federal government is not claiming, because it cannot claim, that our nation's anti-homelessness efforts have produced any across-the-board diminution of the dire distress on the streets. And we're told this as if it is good news. Would we have agreed, a decade ago, when money was far more plentiful than it is now, that all we would get for this Federal effort was no overall improvement and just bright spots here and there? And now that times are tight, should Kansas City enlist in policies that were proven failures back when we could throw more money at our problems? If Kansas City can get every homeless person into housing in a short period of time, it will achieve something truly remarkable, but, I am sorry to say, I don't believe Kansas City can do it. I would love to see some summary of facts or some tabulation of figures that proves me wrong, but so far as I know, no such document exists, and I don't believe one ever will. The root problem for Kansas City is in the numbers. The 2010 Point In Time count found 9410 unduplicated homeless people in KC/Jackson county and 13,442 in the seven-county Metro area. Granted these numbers may not be fully accurate (the report, itself, said “these numbers under-represent the extent of the problem”) and new figures should be coming out soon. But since, by all accounts, there are no more than 3500 beds of any kind for homeless people in Kansas City, getting everyone into permanent housing would mean quickly coming up with housing for another 10,000 people to cover the shortfall. There is no way the city can come up with that much permanent housing anytime soon, so if Kansas City follows the ten-year plan model, thousands of Kansas City's citizens will be left homeless, putting Kansas City, like cities across America, in the same position as that hypothetical family that wanted to solve its food problem by letting two kids starve. It doesn't have to be this way. refitting some abandoned parking lots by drawing fresh lines demarcating, say, 20 by 20 foot spaces and adding such inexpensive services as porta-potties, portable showers, pay phones, mail boxes and dumpsters. These could become home bases for people living in their cars or recreational vehicles. The city of Eugene, OR, has a small program that arranges for people living in their cars to park on private property overnight. This program has been running successfully since 1998, and demonstrates that there is more than one way to provide a safe space for car campers. implementing the same basic plan for parking lots on grassy spaces, and allow for the creation of legal tent communities. There are hundreds of tent cities across the country, including some which have acquired legal status and shown great stability. moving homeless people into foreclosed and abandoned housing. This isn't just better for the people, it's also better for the housing, because it keeps the housing from being vandalized, becoming unsalvagable, and deteriorating the neighborhood. These dwellings would have to be brought up to minimum safety standards, but they wouldn't have to be fully functional. For example, in a three bedroom, two bathroom house, one bathroom might be unusable, maybe one of the bedrooms and some of the windows would be boarded up, maybe there would be a hot plate instead of a stove, but the house could still be safe and a great blessing for an otherwise homeless family. building dormitories for single people. Such dormitories already exist, in the form of emergency shelters, but the difference would be that in these dormitories, residents would have lockers and a guaranteed bed night-after-night. Kansas City is currently closing schools, which could, with relative ease, be adapted for dormitory purposes. erecting new types of structures. For example, pre-fabricated domes being developed for international relief work, could provide inexpensive semi-permanent housing to large numbers of homeless people. These same types of measures could be adopted on a county-wide basis in more rural areas. Several of these types of space would accommodate families, couples, and affinity groups for whom there is a shortage of space in traditional shelters and transitional housing. Single people might also choose to live in homeless encampments, but for some, dormitories would be of especial value. This would likely be true of many homeless teenagers, because homeless teenagers are the group that, probably more than any other, illustrates why “Penny Wise And Pound Foolish” could be the guiding motto of America's efforts to address homelessness. Teenagers become homeless and on their own for many reasons. Sometimes, they become homeless because they are being raped and/or beaten at home. These kids are crime victims and do not deserve to be further penalized by society. Another group of teenagers are forced from their homes, because of their own anti-social behaviors, like hanging around with gangs or dealing drugs. In these cases, it is the families who are fighting for survival. Another large group consists of gay kids who have been kicked out of their homes by parents who disapprove of their sexuality. And a fourth group consists of young adults who have aged out of foster care and who, with no resources, wind up on the streets. All four of these groups illustrate why people can't always take care of their own. But it is a rare parent who, no matter what the circumstance, does not hope that their child will survive and find the way to a good life. Especially now, in the current “jobless recovery,” though it has always been true, teens on the street can make money mainly by dealing drugs or by prostituting themselves. And the ones who do not have drug habits when they hit the streets, may soon acquire addictions to whatever dulls the pain of what they're doing to survive. Some are luckier, but for way too many, the realities are bleak. These kids can become lifelong consumers of the criminal justice, medical or mental health systems because of what happens to them while they're on the streets, running up staggering costs to society that could largely be averted with a bunk bed and a locker. In fact, this is one of those all-too-rare circumstances in which the bleeding heart, do-gooder, humane solution is also the most hard-headed, bang-for-the-buck, budget-conscious approach. Just by definition, the feeding everybody spaghetti, rice and beans solution helps more people for the same money as the solution that lets two kids starve. And it does this, specifically, by lowering the cost of getting people into shelter and by reducing, as well, the costs incurred from leaving them unsheltered. The National Coalition for the Homeless reports that two tent cities in Seattle, each containing 100 people, operate for $4000 – 6000 per month, a figure that includes sewage and garbage removal and bus tickets for the residents to get around town. In other words, each resident is housed for $40 - $60 per month. These tent cities operate on church land, provided for free (by current law, the campers have to move every ninety days, but that may change) and are supported by housed volunteers. Could this model be adapted for Kansas City? Could churches and other non-profits be allowed to host small tent communities on their own land, using their own volunteers to help out and their own buildings as warming shelters and meeting places? 100 houses of worship and non-profit organizations, hosting an average of 10 homeless people each, would get 1000 homeless people into safe spaces for a cost of $40,000 - $60,000 per month or $480,000 - $720,000 per year, a figure that is less than ten percent of just the Federally provided Community Development Block Grant (CDBG) money being disbursed in Kansas City this year. This Temporary Homeless Services Area started out costing $400,000 per year, but that figure was soon reduced to $300,000. According to Brent Schultz, Ontario's Housing and Revitalization Director, “It's largely been pretty quiet,” so they didn't need as much security as they originally thought they would. In addition to security and waste removal, the city has paid for things like a refurbished facility from which to dispense food. So this is very much a municipally-supervised (through a contract with a non-profit), full services tent city, and it ran at an annual cost of around $2360 per person or a little less than $200 per person per month. The Global Shelter Group (to which I have no connection and of which I make no endorsement) sells insulated 314 sq. ft. domes, which, they say, are able to withstand a Force 5 hurricane or an 8.5 earthquake and will last for over thirty years. Depending on how they are configured, they can house a small family, or four single individuals in separate compartments. The basic design calls for them to be erected in clusters with separate shower and sanitary facilities, though bathrooms could be installed in each unit, if desired. Purchased in quantity, the domes in their basic configuration would sell for $10,000 to $13,000 including flooring, lighting, electric heat and installation, performed by local contractors. Even factoring an additional 20% into the per-residence cost to cover the cost of separate bathroom and common areas, these units would sell for $12,000 - $15,600 and could be put up quickly. Presumably the City would have an array of financing options, but just hypothetically, if these domes were financed with a standard 15-year, 5% mortgage, they would cost from $1288 to $1675 per year. Since the domes can be configured to hold four people, the cost per individual could be as low as $27 - $34 per month or $322 to $418 per year. At that price, all of Kansas City's unsheltered homeless people could be housed for less than half of the $8,820,000 in Federal CDBG funds Kansas City received this year. Of course, when those funds were allocated, the idea of using them to solve Kansas City's homelessness problem wasn't on the table, but I would suggest that the next time such decisions are made, other proposals for those funds be weighed against the potential for ending Kansas City's homelessness crisis. This should not be taken to mean, however, that CDBG monies would be the only possible source of funding. There might be many other budgetary sources for these funds, and an interesting idea about funding comes from another of the new shelter companies. World Shelters (no connection, no endorsement) manufactures pre-fabricated, dome-type, 230 sq. ft. “transitional shelters,” designed to have a 6–10 year lifespan. In quantity of 500 units, an insulated, winterized “W-Dome” mounted on platforms, equipped with propane heaters, solar lighting and electronics, and with a solar vent fan for cooling will cost $8189. That price includes one “Sani-Dome” shower and composting-toilet facility for each 13 residents. Since the W-Domes can hold two people each, the per person cost of the units would be $4095. Financed for 60 months at 7.5%, the manufacturer estimates the per person annual cost at $974.55 or about $80/month. Since these units would be in an off-the-grid configuration, they could be erected on vacant lots with minimal site preparation. Bruce Lebel, the executive director of World Shelters, makes the point that their structures (and, by extension, others like them) bring the cost of housing down so low that many poor people could afford to lease them out of their own resources, if given the opportunity. A person earning just $20 a day collecting scrap or receiving $600 a month in benefits would be hard pressed to rent an apartment for that amount and have enough left over for food and other expenses. But a shelter costing $27 - $80/month would leave $$520 - $573 for discretionary spending, and a person can live on that, especially with the addition of Food Stamps. To facilitate this, Kansas City would probably have to handle the payments. If the City were to build into the cost per unit some combination of administrative charges, site fees, charges for extra security, a budgeted heat allowance and a levy to finance shelters for completely indigent people, so that the cost per unit doubled to $54-$160 per month per person, that would still be in a price range that many people could afford who could not afford anything else. Even a government-run encampment modeled on the one in Ontario, were it to demand that its residents pay their own way, shouldn't have to charge them more then $200 a month. Wouldn't it make sense for Kansas City to find land on which to make it possible for people to pay their own way out of homelessness? Is there a more cost-effective strategy than that? When it comes to saving the costs associated with unsheltered homeless people, studies have shown that when homeless people are housed, costs for medical and police services go down. According to the U.S. Interagency Council on Homelessness, USICH, this cost saving varies by region but is always substantial. In Oregon, the USICH estimates that an unsheltered homeless person requires $42,075 in services while the same person, housed, will require only $17,199. In Massachusetts, the unsheltered figure is $28,436 while after housing, the cost drops to $6,056. The Kansas City, Missouri police department has, itself, put out a video, posted on Youtube, called, “The Cost of Doing Nothing.” In it, a hypothetical, disoriented homeless pedestrian is struck by a vehicle, and by the time you factor in the police call, the ambulance call, emergency room treatment and what not, you are looking at a cost of $2 million. In other words, Kansas City's own police department is trying to raise awareness about the costs that will be incurred if the present homelessness crisis continues, costs that will be saved if people can be given some sort of home base. Would the cost savings associated with putting homeless people into housing also apply to putting them in a safe space that falls short of a home? The research doesn't seem to have been done yet, but there is every reason to believe that the answer would be yes. Though many of the people placed in safe spaces might not be getting a permanent structure, they would still be getting many of the less material but not less important ingredients of a home. One of the reasons why homeless people band together, as people have banded together throughout all of human existence, is for mutual protection. Assaults of various types, often perpetrated by the housed, are a significant cause of death among homeless people. You can't have even an informal “Neighborhood Watch” program if you don't have a neighborhood. Giving homeless people neighborhoods means giving them greater security. A home is a place where you can organize your life, and your stuff stays where you left it so you can think. By this measure, a home base would provide much of the stability associated with a home, far more than can be found on the streets or in a shelter where you have to be out each morning and haven't got a guaranteed bed for the next night. A home is a place where people – including relatives, friends, neighbors, employers and delivery drivers – can find you and watch out for you. That's another reason why homeless people die, because there's no one there to remind them about medications, or to see when they don't look right or to help them access care. These problems would be reduced in a home-base community. Despite the lack of research to prove it, it seems reasonable to assume that, like homeless people placed in housing, homeless people placed in safe spaces would be better able to maintain themselves, live longer and be less of a financial drain. Certainly it is a more reasonable assumption than believing that outcomes will be positively affected by leaving homeless people criminalized, atomized and outcast. The “Give Everybody A Home Base If You Can't Give Them A Home” strategy is unquestionably cost effective, especially if you factor in that many homeless people would be able to pay for their own lodging, if given the chance. But there are arguments other than cost that may be made against such a plan. Some, like the “We can do better” argument, are easy to dismiss (no we can't), but others are more problematic. Advocates and civil libertarians of many stripes will see in these proposals the danger of creating poor-people's internment camps, and they have plenty of reason to worry. America has interned U.S citizens before (e.g. Japanese-Americans during World War II and Muslims after 9/11). Homeless people are already getting kicked around by the authorities. They are de facto criminalized, regularly hassled and arrested, confronted by restrictive rules in all kinds of settings and made to jump through hoops any time they apply for aid. Who would believe that a society inflicting this kind of misery would suddenly change its spots and treat homeless people with dignity? The answer is that societies change all the time. If the popular will were ever mobilized to give homeless people safe spaces, then it could just as easily be mobilized to give them an accompanying guarantee that their rights will be upheld. Without such a guarantee, and without an effective procedure for enforcing it, many people without homes will doubtless be better off without society as well, meaning they will be safer and have more dignity in their present marginalized condition than as wards of a paternalistic state with the paternal values of a child abuser. Guaranteeing homeless people the rights belonging to every American is a crucial step in bringing them back into the American community. Another objection concerns NIMBYism. Who, it may be argued, will want a homeless parking lot community, tent city, dome city or dormitory in their neighborhood? Who will want homeless people moving into the abandoned home down the block? One can neither expect homeless people to be warmly embraced nor fault housed people for not embracing them. People are afraid of the unknown, feel more protective of their loved ones than they do of strangers, and have practical concerns like property values that they don't want compromised. But why can't this be a win-win for all the stakeholders? Why should bringing homeless people back into the community be any different from, say, a multi-billion-dollar corporate merger? There are things that homeless neighborhoods will need that will benefit adjacent housed communities too. One thing would be police protection. Homeless people do not, generally, have good relations with law enforcement. They don't like it that they are too often the targets of police. But their lesser-known grievance is that they can't go to the police for help, ether because the police won't help or because they don't have the capacity to offer real protection in the often hidden demi-monde of homelessness. Part of the process of restoring homeless people to the community is restoring to them those protections that society should bestow equally on all its citizens. Legal homeless encampments must be designed with access lanes for fire and police patrols, and the police should be community based, not state troopers doing drive-bys. Additionally, when offenders are apprehended in homeless neighborhoods, they should be arrested, but the entire neighborhood should not be torn down, as is often the case with illegal homeless encampments. Legal encampments should be treated the same as housed communities, which are never torn down on account of a single offender somewhere on the block. Another thing homeless people need is enterprise zones adjacent to the places where they live. Many homeless people have marketable talents, as has been emphasized recently by the discovery of Ted Williams with his golden voice, and reality-based films like “The Pianist” and “The Pursuit of Happyness.” Of course, not every homeless person has a talent that will make headlines, but many have skills that they would like to market, or items they would like to sell. Since there is no anti-poverty program better than letting people earn money for themselves, whenever possible, allowing homeless people an area where they can legally market their goods and services is essential to helping them be self-sufficient. Finally, homeless people need assistance accessing many different kinds of aid. For example, a public health outreach team might visit homeless encampments on a rotating basis. This is likely to save money in the long run by spotting conditions before they become acute, for surely it is cheaper to treat homeless people in the field than it is to wait for them at the emergency room. It is often difficult for homeless people to get to social service offices, so another form of assistance they could use would be visits from workers who can help them apply for food stamps, SSI and other programs. Since these programs bring in Federal dollars, the cost of outreach should be more than offset by the fiscal burden transferred off the municipality. In 2011 America, millions of people are in states of economic desperation, even though they still retain housing. Some have already lost their housing, but still have shelter, because they have moved in with friends or family. The NAEH reports that 6 million Americans are living doubled up (The Department of Education considers such persons to be homeless but HUD does not). All of the services that would benefit homeless encampments – community policing, enterprise zones, outreach and more – might be prized by people in adjacent housed neighborhoods too. This is not to say that winning over the neighborhoods will be easy, but it is to say that it is not impossible, not if, that is, an effort is made to win them over. It should also be noted that, under a scheme such as I outline above, the existing service providers will still be needed, with, perhaps, some numerical adjustments and alterations in their services. For example, current emergency shelters might serve as dormitories for people who especially need to stay out of the weather. Transitional housing units might remain much the same, since there will always be people who, by dint of special need, special circumstance or special effort, especially deserve the wrap-around services that, right now, cannot be afforded to everyone. Moreover, more than half of the shelter and transitional beds in Kansas City are privately funded, and would not be directly affected by a reallocation of public funding in any case. The relative proportions of expenditures between various types of programs would have to be examined, evaluated and adjusted too, and there might, legitimately, be other sources of revenue besides anti-poverty funds. Consideration would also have to be given to what parts of this might or might not meet HUD or other funding criteria, might qualify for a waiver, might be financed some other way or whatever. I would urge Kansas City, through the Kansas City Task Force on Homelessness, to research the proposals I have briefly outlined here and analyze them on paper alongside any other plans the City wishes to consider. These proposals should, of course, be considered in tandem with the equally important question of what Kansas City can do to keep people from losing their housing in the first place, but that question is beyond the scope of this White Paper. There would, of course, be problems and obstacles to implementation with any plan, but one that would especially apply to safe-space solutions - the creation of visible homeless encampments, moving homeless people into abandoned housing or building homeless dormitories – would be winning public acceptance, not just in the adjacent neighborhoods, but throughout Kansas City, so that this can be a project the city takes pride in. In order to win over the broader public, I think there should be full disclosure. The people of Kansas City should be told the truth – that they're being offered the most beautiful thing in the world. For is there anything more beautiful than the spirit of people caring for each other? In the Bible, the seer Balaam famously says of the approaching Israelites, “May those who bless you be blessed, and those who curse you be cursed.” Less well known is what he said a few verses earlier, which was, “How beautiful are thy tents.” He was looking at a tent city, but he saw some spirit there so bright that his words reflecting it have shined down to us through the millennia. That is the spirit, that is the light that I would wish for Kansas City.